Will the next Facebook be founded by a woman? There is no shortage of female entrepreneurs. But where are the women who think really, really big? 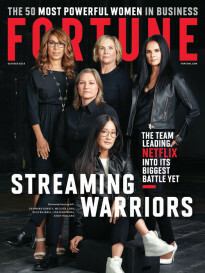 FORTUNE — Ever wonder why there ‘s no female Mark Zuckerberg? It is, after all, the era of the social web. Women use social-networking sites more than men do. Women stay on social sites longer. Women provide the bulk of the revenue at Zuckerberg’s Facebook and gaming company Zynga, and most other fast-growing startups in the consumer Internet space. So while Oprah and Martha (Stewart) have created major businesses around their divine selves, why has no woman built a business on the Zuckerberg scale? Sheryl Sandberg, who is Facebook’s COO, says one reason is that women who are great negotiators for other people — doing a business deal, for instance — “are often not good negotiators for their own advancement.” Adds Demet Mutlu, the founder and CEO of Trendyol in Turkey: “A lot of women just don’t go for it. We’re afraid of what society thinks of us.” To build a Facebook-level company, you have to go for it. Also, women tend to think about power horizontally — they focus on being influencers — while men care more about climbing the ladder. The folks at American Express (AXP) and Ernst & Young who sell services to entrepreneurs say that men tend to launch businesses to make money, while women create the companies they want to work for. With kids at home, their dreams usually aren’t Fortune 500 size. “Maybe for females it’s more zero-sum,” says Hearsay Social founder Clara Shih. “To stick with it for a long haul means that you give up family or being attractive to guys.” Shih, however, tackled that challenge: She got married Oct. 1. 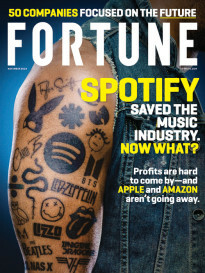 This article is from the October 17, 2011 issue of Fortune.